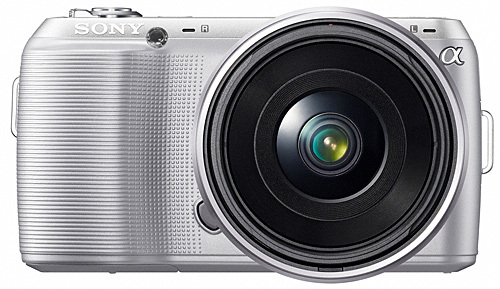 The C3 marks the beginning of Sony’s second generation of mirrorless, interchangeable lens camera under the NEX brand. Same as the NEX-3 and NEX-5 announced some 13 months ago, the NEX-C3 targets the compact digital camera users who are looking to upgrade, but are hesitate to go the digital SLR path for reasons such as the latter’s steeper learning curve, bigger size and heavier weight. The NEX-5 in particular came as a surprise to many, not just because of its tiny size (it’s even smaller than the already petite NEX-3), but the fact that it contained an APS-C sensor that’s commonly found in DSLRs. The miniaturization didn’t come by chance: Sony had to develop a completely new mount called the E-mount. It was so named because of the system’s 18 mm (eighteen) flange focal distance (or flange back distance, which is the distance from the front of the mount to the sensor plane). In fact, Sony isn't reserving the E-mount system solely for digital still cameras. 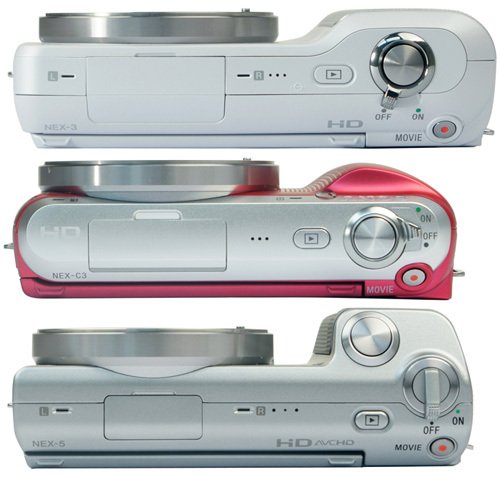 It’s now used on Sony’s consumer-oriented Handycam (NEX-VG10) and pro-level Super 35 mm NXCAM (NEX-FS100) camcorders. Besides its slightly smaller magnesium alloy body, the NEX-5 is also capable of HD movie recording at 1080i using the AVCHD format (compared to 720p in MP4 on the NEX-3), and has an infrared remote sensor. Beyond these, there’s nothing else that separates the two. The NEX-C3 can be viewed as the successor of the NEX-3. It's noticeably smaller than the NEX-3, especially width-wise. It’s also less thick than the NEX-5, which is a result of trimming the handgrip. Both the NEX-3 and NEX-5 have very few buttons to begin with, and the C3 is no different. Apart from some slight relocations, there’s actually no change in the number of buttons. Clearly, Sony must have felt that the NEX-3 and NEX-5 already work well that major redesigns aren’t necessary. Most of the NEX-3's specifications are picked up by the C3; such as the 3.0-inch tilting LCD, ISO sensitivity from 200 to 12800, 720p HD movie recording, and multi-frame shooting modes such as 3D Sweep Panorama, Auto HDR, and Handheld Twilight. So what's changed?